Ta da! 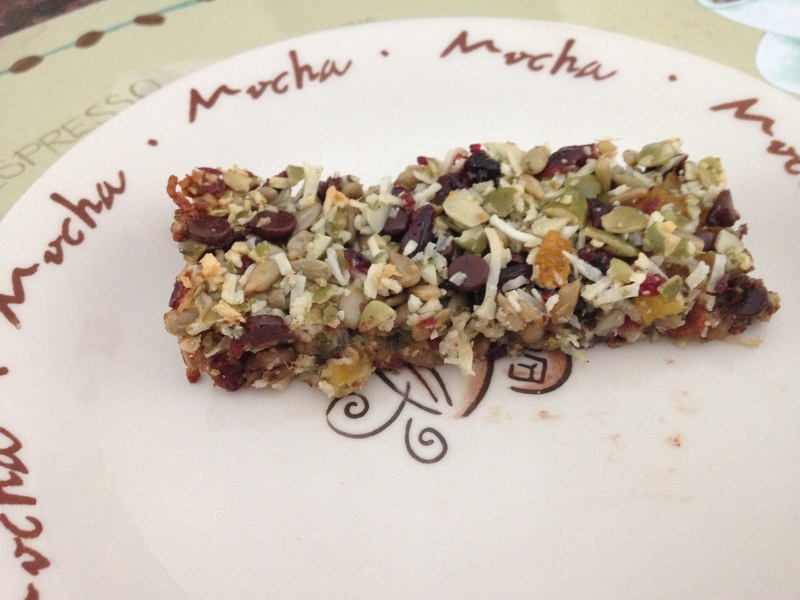 I am so happy with these granola bars. 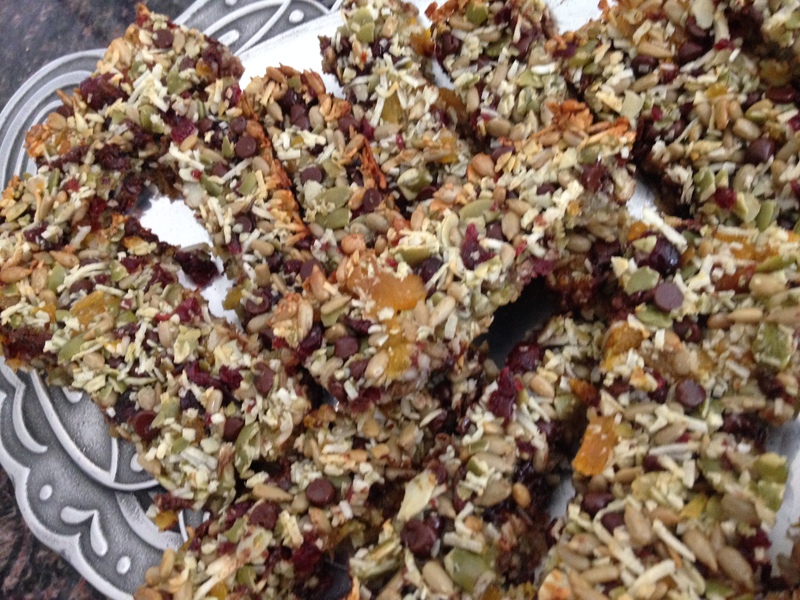 My kids love granola bars. The problem is the packaged, conventional brands contain a lot of unhealthy sugars and additives, and the healthier counterparts are very expensive. 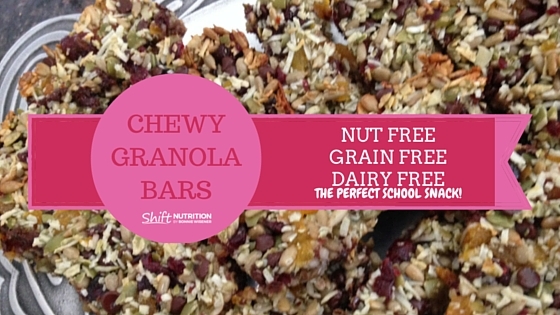 In addition, they enjoy bringing them to school as a snack, and of course, most healthier granola bars have nuts. After several less successful attempts, I think I have nailed it. These are delicious and naturally sweet. 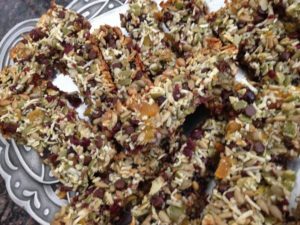 In addition to avoiding some of the unhealthier ingredients, these bars also include some very healthy nutrients. For example, the pumpkin seeds are an excellent source of zinc. Zinc is a mineral that is supports a healthy immune system, vibrant skin, and male reproductive health. While it is readily found in oysters, red meat and poultry, pumpkin seeds are an excellent vegetarian source of this important mineral. Oh, and as usual, they take less than 10 minutes to put together, and bake for 20. 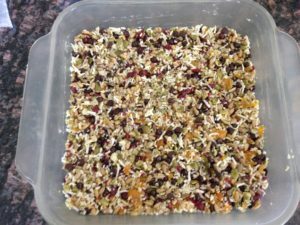 Healthy homemade snack in 30 minutes. Yes, please!! 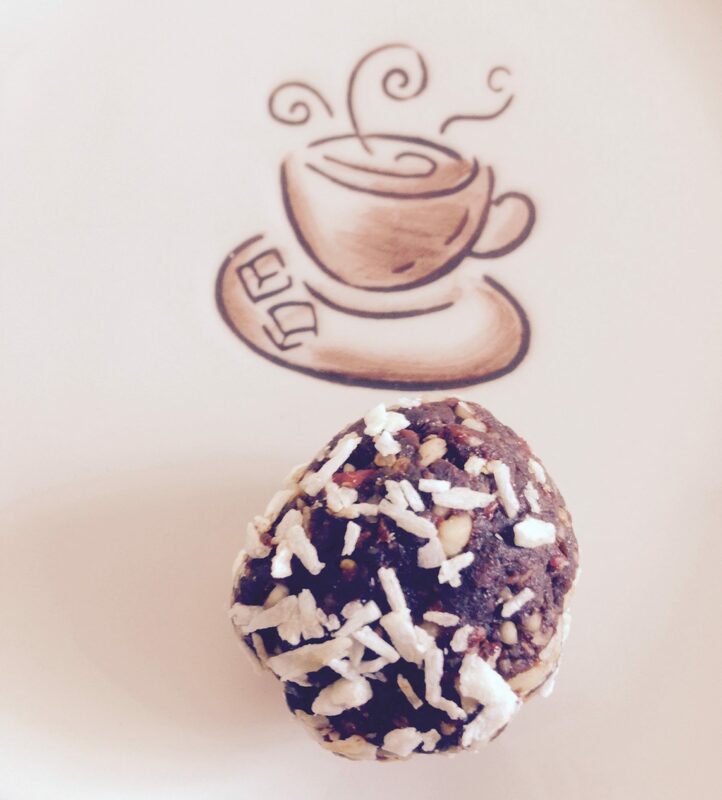 * note – choose sulphite free dried fruit, with no added sugar. Grease a square pan (9 x 9) with coconut oil. 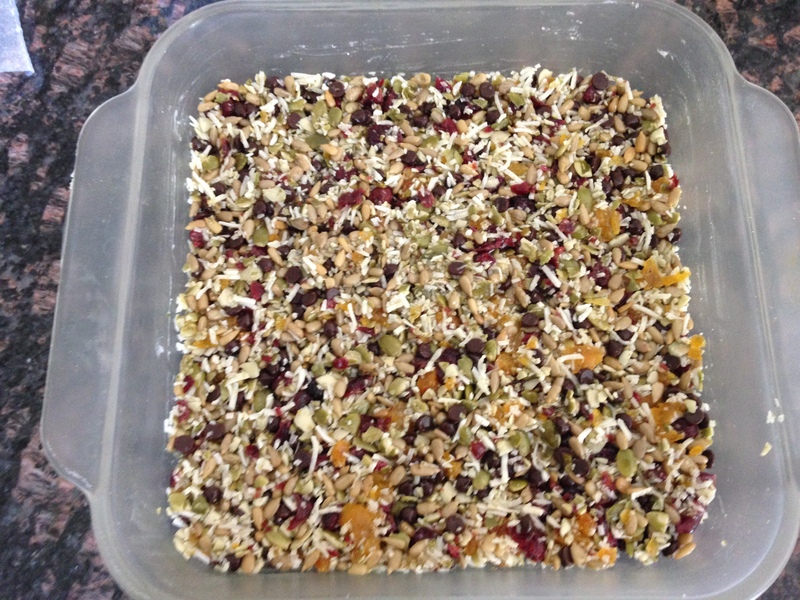 Chop dried apricots and pumpkin seeds. Mix eggs, honey, vanilla, salt and cinnamon in a small bowl. Combine all the dry ingredients in a separate, larger sized bowl. Pour egg mixture over larger bowl with dry ingredients. Mix together. Pour into pan and press down so it’s flat. Bake for 20 minutes. Careful not to overcook. Remove from oven, and let cool. When completely cool, cut into bars. Remember, these are chewy! I put ours in the fridge to harden them up a bit. YUM! Is there anything other than honey than will work to keep it together? Maple syrup? Great to hear from you Michelle. If you are substituting, I would suggest trying either maple syrup or agave nectar. 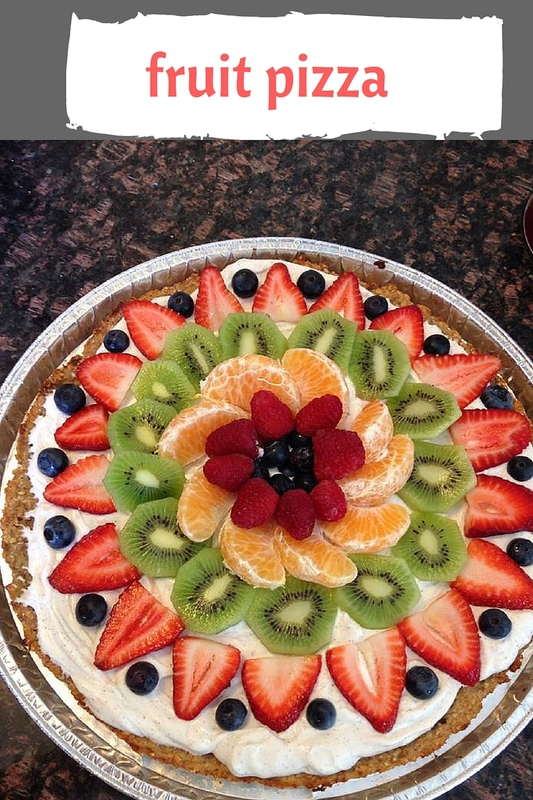 Enjoy – let me know how they turn out! I don’t like coconut at all, what can I substitute for the coconut? 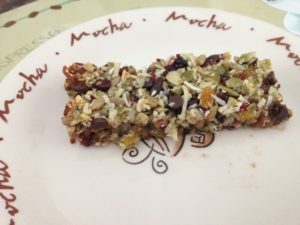 I would love to make these granola bars, thank you. You can just omit the coconut. These bars have other sources of healthy fat. Enjoy. 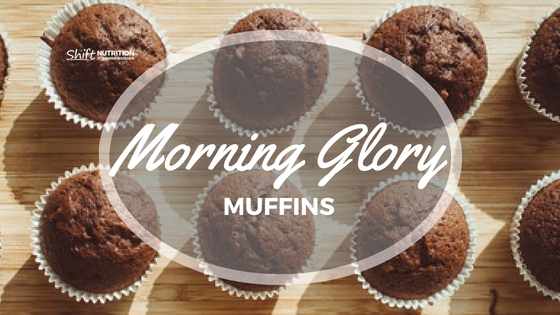 I just made these and they are delicious! Thank you for sharing!